The following patches are available through the APA of Philadelphia. Have you collected them all yet? 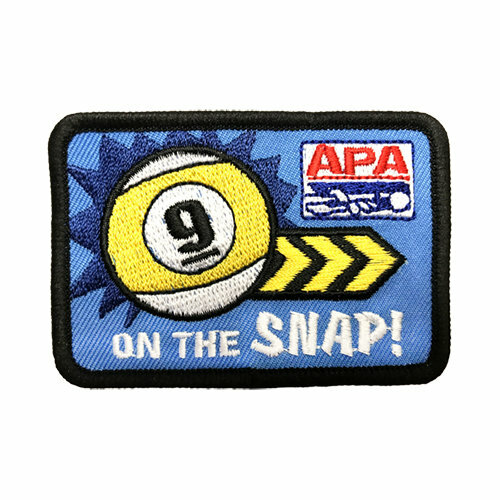 When you sink the 9-ball on the break (during regular league play) - be sure to fill out the appropriate box on the paperwork, and receive this patch! Make the 9 on the snap during a Tri-Cup or Local Team Championship (Cities) tournament to earn this patch! Break and run a rack during a Tri-Cup or Local Team Championship tournament, earn this patch! When an player shoots "lights out" - make sure they get recognized for a 20 point shutout! Playing higher level players can be intimidating. If you are a SL5 or lower, beat a SL8 in league play, and be sure to request your very own patch! When all players on your team win their match, your shooters will be sure to collect one of these! Get a 9 on the snap & a 9 break and run in the same night, earn yourself a Mini Slam! 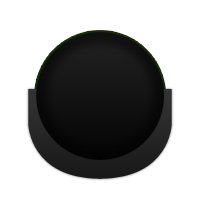 Members who play both 8-ball & 9-ball formats, get a Mini Slam in each format (within same session) and earn yourself a Grand Slam!